55 Knives is a collection of recipes, tips and stories from 55 top food bloggers! Nick from Macheesmo has put together this amazing assortment of recipes, in the form of an e-book. According to Nick, “The 55 Knives book is a collaborative project from some of the web’s top food bloggers in a simple, easy to download format. The authors included in the project were picked not only because of their expertise in the kitchen but also because of their ability to write well about food. Each of the 55 bloggers (listed below) has a chapter where they have presented one or two of their favorite recipes. Some recipes will be simple and some might be more complicated (Individual Beef Wellingtons!). Don’t worry though, the complicated recipes will have crystal clear instructions. I am thrilled to be included in this collection! 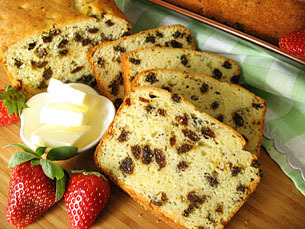 Drawing from my Irish heritage, I chose my Irish Bread and Irish Coffee recipes to be included in 55 Knives. For more information, or to purchase 55 Knives, click here.